Dont look at the carpet; I drew something awful on it. 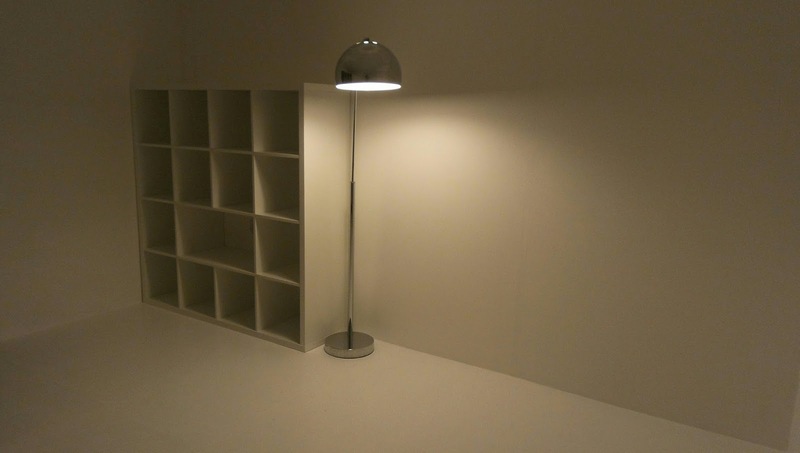 : Studio build: Expressionist bookshelves? OK its a picture of a bookshelf...I know exciting right! but its an achievement to get these in when time is in short supply, this is why I appreciate this blog which has been invaluable during these arty doldrums, validating and documenting the studio build, which is integral to my practise moving forwards. The interior of these studios have been designed to be spacious and multi-functional. It is literally a white cube dedicated for photography but can double as an office or summerhouse. The entrance being more homely with a sofa and this bookshelf, that now groans with all our art books, a record player and my entire vinyl record collection. Of course I still continue to sketch book and have a schedule of work planned; but not until these studios are finished and I have my time back...all I can say is it involves sellotape.